Not sure which bike is perfect for you? The Raleigh Kodiak Pro iE is the perfect ePerformance eMTB to calm the most rugged of terrain. A Bosch Performance CX powered, fully outfitted ride with some of the very best components from the most proven manufacturers. The Kodiak Pro is truly a sum of its parts. At the heart of this trail beast is our proven 6061 Hydroformed Aluminum frame, giving the rider 130mm of rear wheel travel on 27.5” plus wheels, mated with best-in-class, 130mm Rockshox Pike front suspension fork, it just like point and shoot steering performance! 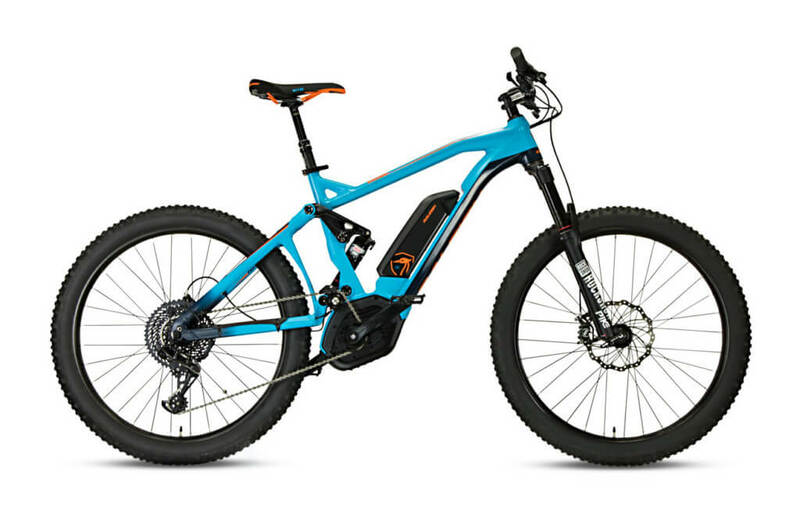 We have chosen the industry’s only eBike specific groupset, SRAM’s eMTB super robust EX1 8 speed drivetrain with the confidence of a muscle car and the gear range of a tractor, with an 11-48 rear cassette. So how to manage all this performance? There’s only one choice, Magura’s MT7 four piston, hydraulic disc brakes with robust forged calipers, and multi point rider adjustable 2 finger brake levers, even slowing down is a pleasure. Frame: The Raleigh Kodiak Pro iE equipped with Multi Formed Aluminum Alloy 6061 T6 Dual Suspension, 4 Link All Mountain Design. 130mm of Rear Wheel Travel. It has a high strength to weight ratio and is highly resistant to corrosion. 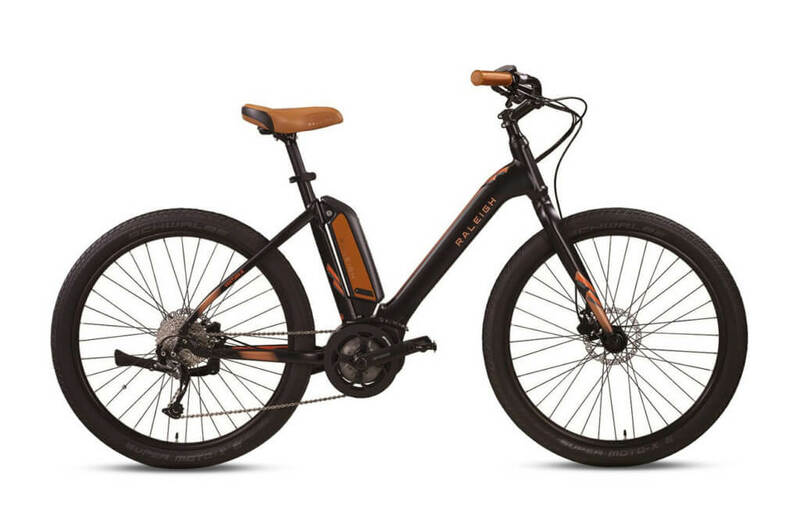 Brakes: The Raleigh Kodiak Pro iE is equipped with Magura MT7 four piston, hydraulic disc brakes with robust forged calipers, and multi point rider adjustable 2 finger brake levers, even slowing down is a pleasure. 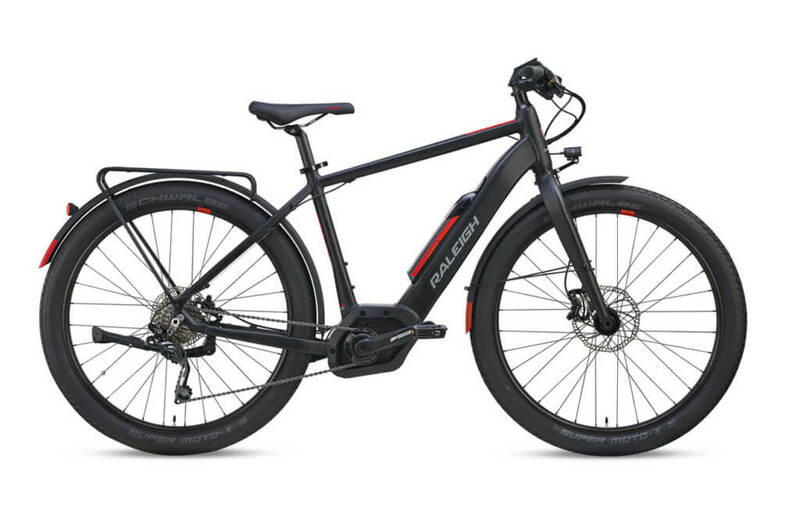 Drivetrain: The Raleigh Kodiak Pro iE features a Bosch Performance CX, 250W, a SRAM EX1, Wide Range, Roller Clutch rear derailleur and SRAM EX1 eMTB specific 8 Speed shifter. 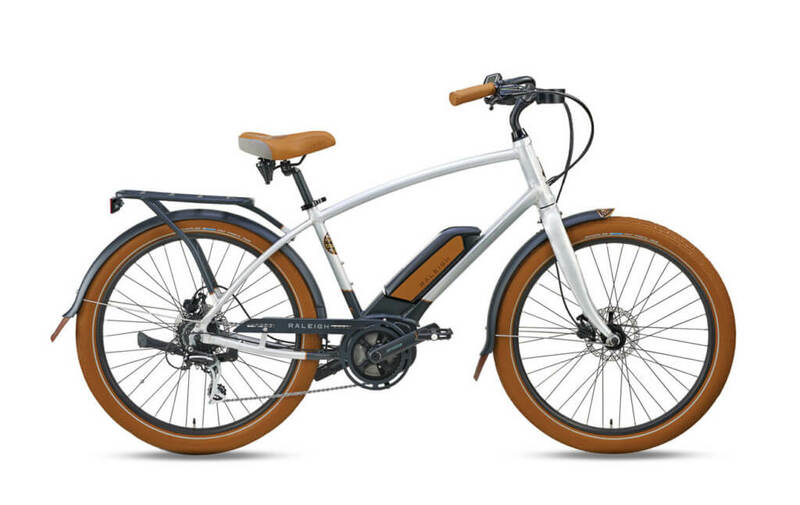 Top Speed: The Raleigh Kodiak Pro iE provides speed with a top speed of 20 mph. The power comes from Bosch Performance CX, 250W. Tires: The power meets the ground with Schwalbe S26″ x 2.35″ Fat Frank tires and Raleigh Aluminum Alloy rims. Accessories: Our team has a lot of experience outfitting bikes with additional accessories, so be sure to reach out to us if there’s anything you may need. Bosch Performance CX motor with a Sleek Purion display. 100% Rockshox Suspension, Deluxe Rear Shock, Pike front fork 130mm travel. SRAM Premium EX1 eMTB specific wide range robust 8 speed drivetrain. WTB Equipped, Volt Saddle, Scraper Rims, Commander Grips with PadLoc technology. No worries! Talk to one of our matchmakers to be certain before you buy. We’re an e-bike retailer based in Brooklyn, serving NYC, the rest of the US, and several other countries. Propel grew out of the recognition that e-bikes hold the potential to transform transportation as we know it. We’ve dedicated ourselves to bringing that transformation about since our founding in 2011. We’re pioneering a new industry standard that all the electric bikes we sell must meet, educating legislators so e-bike riders will be treated fairly under the law, and guiding consumers away from expensive pitfalls towards their perfect e-bike match. We only carry brands that meet our standards for manufacturer support & build quality. Collectively, they cover every category: commuter e-bikes, e-bikes optimized for comfort, high-speed e-bikes, cargo e-bikes, folding e-bikes, electric mountain bikes, and fat tire e-bikes.